baseline; white-space: pre-wrap;">NC Children’s Hospital. The last two years we’ve raised +$11,000 and won the donation contest both time - which is an incredible recognition of the power of this community (good people, supporting good causes). This year’s goal is $8000. Topic 3 - You were at OpenStack Summit. What was the vibe there? Anything interesting? Didn’t seem like a lot of new announcements, just lots of panels. And of course the OpenStack Foundation took a swipe at AWS dominance - not sure why? Is OpenStack going to lose the modern-app-infrastructure game to Docker? Topic 4 - Canonical quietly slipped out that they are developing a new container/virtualization technology called LXD (lex-dee). Topic 5 - You’ll be out at AWS re:Invent, enjoying Vegas while I’m actually working, so what are you looking forward to out there this week? Any predictions on their announcements? Topic 3 - What Big Data do you have in the background to drive faster incident closure? Topic 4 - You integrate with ticketing systems like Service Now, Jira, BMC Remedy. What's a typical incident workflow when integrating with those tools? Topic 5 - How do you keep the incident tagging consistent from all the different sources? How do you avoid conflicts as environments get larger, or the downstream services (generating events) change over time? Topic 6 - Early use cases? Anything surprising emerging from the data? Topic 1 - You have an very interesting background to some of our listeners having been involved in XBox Live and Kinect platforms. What was that like? What CI/CD needs to you encounter? Topic 2 - CI/CD with a “developer cloud” focus. Where does Jenkins fit into this picture? Is Jenkins more about vm’s and this is about containers? You mentioned in an interview that code and apps are in the cloud (github) but CI is in-house, that didn’t make sense to you. Follow Up: As I see it, a developer can spin up a container on their laptop, then move this container to another environment test/det, AWS, production in house, etc. and you are potentially removing the gotchas of “It worked on my laptop”, correct? Topic 4 - We keep mentioning micro-service as an architecture on the show. Is this an example of the CI/CD ecosystem evolving to embrace containers and a micro-service architecture? Topic 5 - You also did a podcast with friend of the show Lucas Carlson (http://www.centurylinklabs.com/the-future-of-continuous-integration-with-shippable-founder-avi-cavale/). We had him on to discuss Panamax. Do you integrate with Panamax? Topic 1 - Tonight is interesting because we are pulling in pieces from a bunch of previous podcasts and past guest topics. We have spoken about the many emerging trends and use cases in DevOps, but a big problem has been how do you put all the pieces together. You hear about Jenkins, Docker, OpenStack, PagerDuty, Loggly, AWS, etc. A lot of moving pieces that we have to integrate together and then actually operate efficiently. Let’s start at the start, what is the concept of Automation as a Service and what problem are we trying to solve? Topic 2 - Quote from Blog: "because developers are in charge that every single API must be a first class citizen. They determine whether your API is inadequate very quickly. If you treat your APIs badly by deprecating them suddenly and without warning, you are essentially slapping developers that use your APIs in the face." - Very true. There is a presentation your company did on OpenStack vs. VMware and the idea of closed vs. open with some great analogies to history and advancements in efficient. How does AaaS help developers? StackStorm and others are focusing on automation as a service - Remediation through automation? Topic 4 - Is AaaS the “glue” between a bunch of existing projects and frameworks to create an automation workflow through change management, remote execution? Not trying to replace Docker, Salt, Ansible, Chef, OpenStack, Jenkins, New Relic? Aren’t all these integrations points a nightmare? Is this an on-prem product, cloud offering? Topic 5 - You mention machine learning and artificial intelligence. This sounds a bit like what VMturbo tries to do at the hypervisor level. In discussion with them I know getting people flipping the bit that enables full automation makes some folks uncomfortable. They start to think of SkyNet in Terminator and the machines taking over the world. Thoughts? Topic 1 - Manoj, you and your team came highly recommended to us by the team at Evident.io (Tim Prendergast) and we learned about your service at AWS Summit in NYC. Tell us about your background and how it eventually led you to Loggly. Topic 2 - You have an excellent talk/presentation on Critical SaaS Mistakes to Avoid. You mention that scalability needs to be priority #1. How much different is building applications/service in the cloud vs. building packaged software? Topic 3 - We presume that Loggly was built from Day 1 was a web-scale SaaS application. Having built it, what might you do differently or major lessons learned? Realistically, is it possible for someone to SaaS-ify an existing application? Topic 4 - Let’s talk about Loggly. Every company, every application has logs and they are a cluttered mess of potentially valuable information. People throw them at Loggly. What happens next? Topic 5 - That has to be a really complex system on the backend to be able to ingest, parse, analyze, tag all the data - keep it isolated by customer - manage historical logs - then visualize it and give recommendations in real-times. Can you give us some sense of what goes on behind the scenes? Topic 6 - Logging became somewhat more visible at AWS Summit when AWS announced centralized log management. How does your world change when AWS elevates a service that is in your domain? Topic 7- What are the most common scenarios where companies decide they need help with log management? Topic 1 - Tell us about your background starting Molehill and how a small company scales on the web? 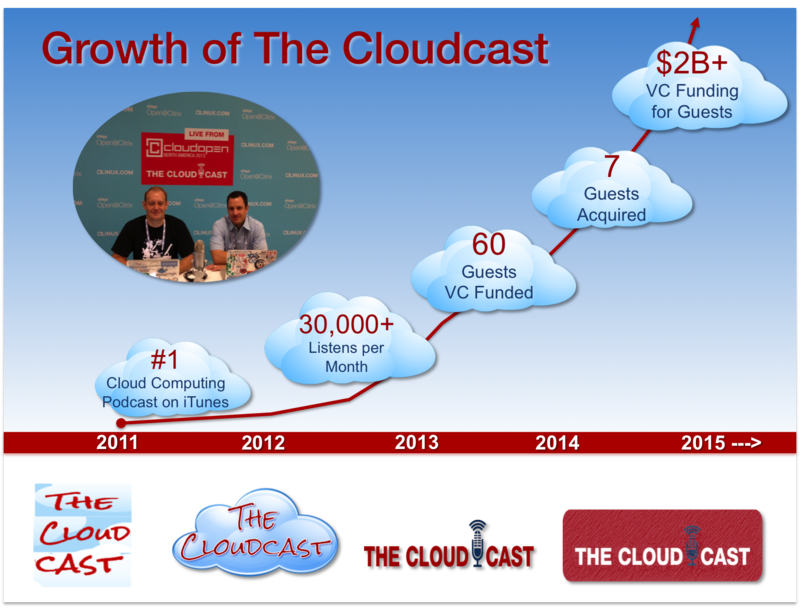 Topic 2 - The Cloudcast has been a customer of Buzzsprout for over 4 years. We’ve always thought it was a very simple application (upload podcast, publish podcast), but thinking about all the elements involved (store podcast, serve podcast, analytics on usage, APIs to distribute feeds via iTunes, RSS, etc. ), we’re curious about the complexity of the application. Topic 3 - At what point did you find it necessary to leverage more advanced cloud services, above and beyond basic compute/storage - things like CDN, DB-as-a-Service, etc. Topic 4 - You recently rolled out a whole new set of analytics for customers. Would this be considered “Big Data” and how do you integrate those new capabilities into the existing applications. Topic 5 - Buzzsprout is available as both a web application and a personalized mobile app. How much different is it to develop for each platform? Any tips for developers on how to build cross-platforms apps? The Cloudcast #152 - How Large does Mirantis Loom Over OpenStack? We had the chance to record six shows at the OpenStack Summit in Atlanta. This past week, we had the opportunity to sit down with Stu Miniman (@stu) from Wikibon on theCUBE at the OpenStack Summit in Atlanta. Topic 1 - We talked about a year ago on Episode #85. For those that aren’t familiar with nested virtualization & Ravello, give everyone a quick introduction. Topic 2 - You call your product “nested virtualization” instead of anything related to Hybrid Cloud, although you’re able to help people leverage both public and private environments. Do you find people are averse to the “Hybrid Cloud” term, or you mostly want to focus on the aspects of your technologies? Topic 3 - Today you are announcing GA of Ravello on GCE (Google Compute Engine). It would appear you are positioning the product to be at the intersection of the hypervisor and cloud. The hypervisor is both invisible (to the application) but is still a barrier to commodity. Do you see this changing over time? What need to happen to advance? Lastly, why GCE? Topic 3a - Docker seems to be on everybody’s mind these days - does that play into your roadmap? Topic 4 - What are the common use cases for nested virtualization you are seeing? Why isn’t one hypervisor enough? Is this a way to get “legacy applications” to cloud? NOTE: Sorry for any static in the background. Looks like we need a new microphone. This podcast all came about because of the Krispy Kreme Challenge this year. 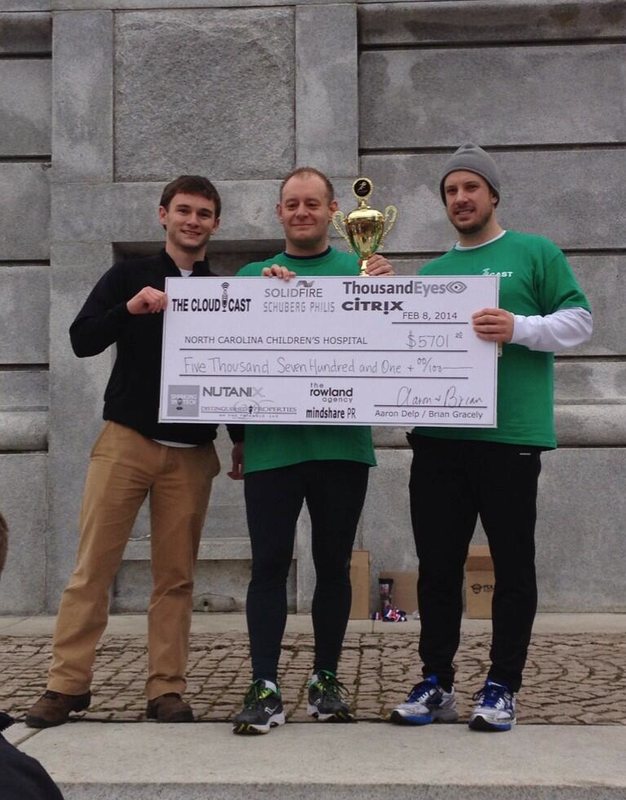 The Cloudcast participated and so did the Raleigh Citrix Sharefile folks. So, this podcast is brought to you once again by donuts. Topic 1 - Let’s start at the start. I’m a Citrix employee and I use ShareFile everyday. It has become one of those tools that I can’t live without now in this age of sharing files both internally and externally between organizations. If I had to describe it to people, is it fair to call it “Enterprise Dropbox?” How do you explain both Enterprise and Cloud File Sharing to others? What makes ShareFile different than Dropbox? Topic 2 - Both Box and Dropbox received a ton of funding recently, but we are a few years in and there doesn’t seem to be a clear “winner” in this space. Why hasn’t anybody established themselves as the majority leader in this space? What are the features needed/requested? Topic 3 - You recently wrote a blog on V3 of the ShareFile API (link in show notes). Tell us about that. You mention REST based API on JSON, oAuth for authentication, and the ability to capture metrics to better understand workflows. Why is that valuable? Are you looking for developers to add ShareFile integration into their applications? Topic 4 - We are a few years into the BYOD trend. People are finally starting to think of the cloud as access your data, anywhere, any device. How challenging is it for you to make data available on multiple platforms (Windows, Mac, IOS, Android). Have we moved beyond people wanting Windows on their iPad so they can access files? Have the usage patterns changed over time? Topic 2 - Who are the main buyers or influencers of technology these days? Topic 3 - What technology or business trends do you see earlier than the vendors or media? Topic 4 - How aggressive are the cloud providers pursuing the channel partners? Topic 5 - What do you wish the vendors would change about interacting with channels? 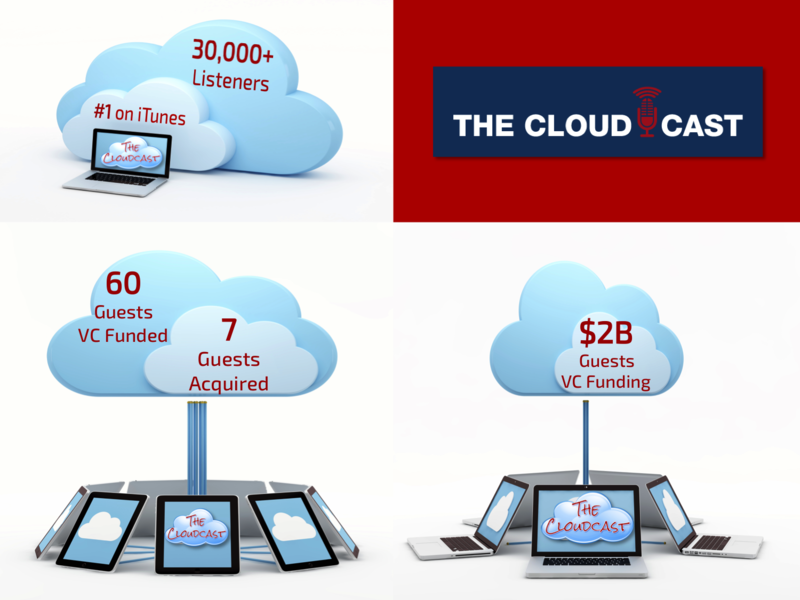 The Cloudcast #127 - Got CloudOps Skills?